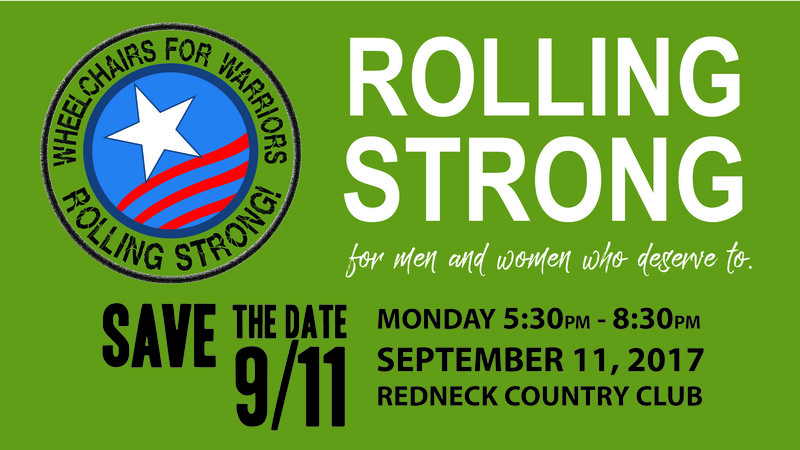 Our Kick-off fundraiser is just around the corner! 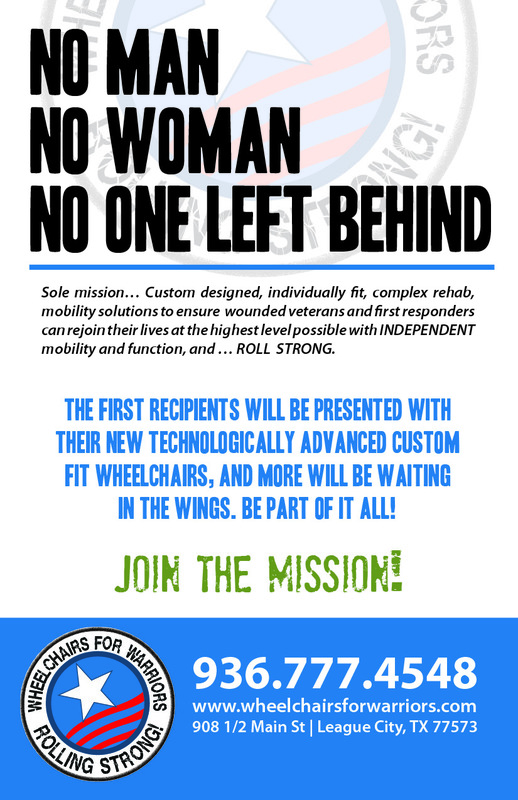 Join the mission and help our veterans and first responders receive custom-fit, enhanced mobility wheelchairs! 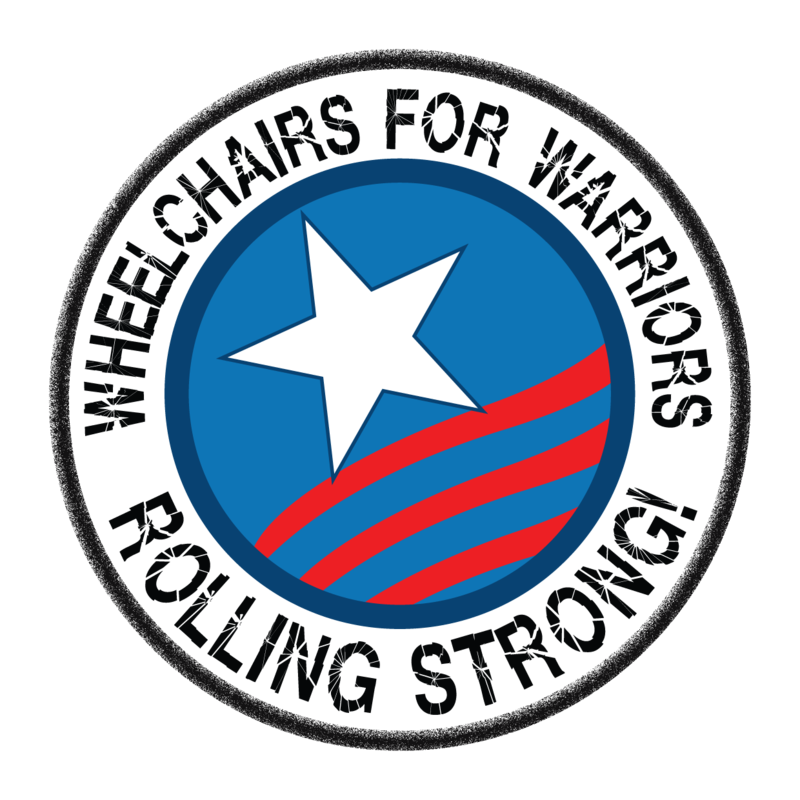 We already have a list (and growing) of veterans who could really benefit from having one of our custom wheelchairs; these wheelchairs range in size, weight (9lb titanium chairs), and function… depending on the warrior’s abilities and lifestyle needs. 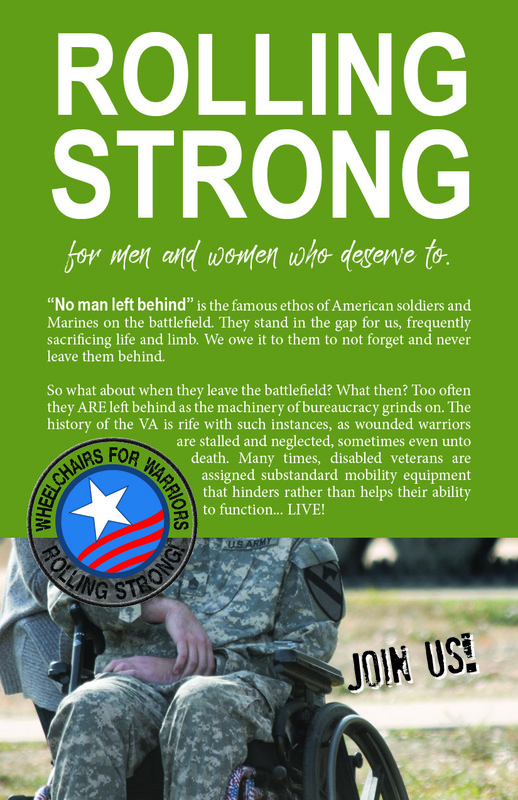 In order to be able to get these servicemen wheelchairs and have them ready to present AT THE EVENT, we need to raise $$$$ BEFORE the event!!! U.S. Army (Ret.) Colonel Rob Harmon who was injured when he fell out of a helicopter in Ft. Campbell. Col. Harmon served in Afghanistan and suffers from Guillian Barre Syndrome. Rob recently fallen over in his wheelchair and on top of his current injuries, he now has cracked 2 ribs and the transfers processor on his spine is cracked. Fortunately, we secured a generous donation from Insperity Corporation of $12,500, and donations from Prestige Oyster, Inc., JTB Services, but we still lack about $25K to get these guys in wheelchairs by the event! We would like for you to consider being a table sponsor or a table captain and helping us bring people to the event. You can buy a table or Individual seats for the event on our website. Please let me know if you are willing to join our mission! 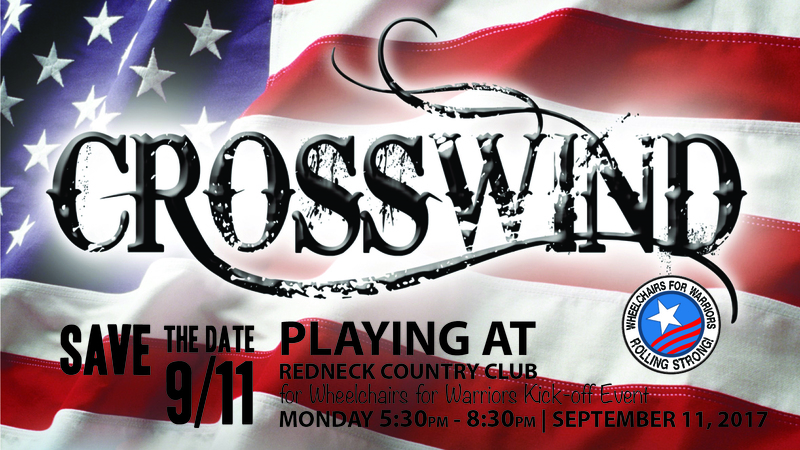 We will see you on 9/11! Top Gun Pilot Ed Rush & Autry Pruitt will be our guests as well as other surprises!